Can’t remember where you found something? No worries, we now have a search bar/tool on the menu. Happy searching! Wagner Motorsports — offering automobile transportation. Pickup or delivery. Mike Wagner 613 857 5218. President, Events Director and Equipment Manager or still available. Cheques are in the mail (Regional registration). Bank account is ~ $6700. Membership is growing and now numbers more than 45. Roger reports no luck with attempting to retrieve equipment from Jon M. Rob B. will assist. Snow storm prevented planned visit to Picton to check out the storage container. We will try again in April. Duties for May Regional Autoslalom discussed. St LAC will manage registration and solicit food vendors. Awareness made of seasonal conflicts with Thursday meeting times and lapping at Shannonville. Peter will investigate options. T-shirt samples from Fast Eddies were presented. There was much discussion about whether these could be screened and offered as a commemorative item at the May Regional. It was suggested that they be given to registrants for free or sold to those in attendance. We also discussed whether or not these shirts should include the name of the event and/or a date on them. It was noted that this could be the last Regional at Picton given that it is for sale so left-over stock might be stale-dated (as it were). Costs will be investigated once we have settled on a design and presented to the membership at the next meeting for a vote. Watch the website for updates. Do’s and don’ts for the May Regional event were presented by Eric. These include (but not limited to): camping is free, no campfires will be allowed and drones will not be permitted given that this is a functioning airport. National Battery (660 Justus Dr, Kingston, ON K7M 4H4) gave our two battery packs a thorough going-over and tune-up. While not a sponsor, they will give you a discount if you are a member. If you agree to put a sticker on your car the amount of the discount will increase. It was suggested by John K. that the club might benefit from acquiring two new radios for use at events. The proposed radios will serve as a master or homebase and just as in the Lord of the Rings, will rule the others. John will investigate performance and price. Any executive member of the Saint Lawrence Automobile Club (St LAC) must be a paid-up member in good standing. An executive member of St LAC may not be a member of any other automobile club with the exception of CASC. 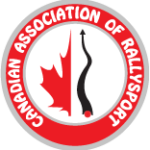 That the club will continue to be a supporter of automobile rally sport in the province by being a member of the provincial sport governing body. Please note that the above represents my interpretation of the actual language. Here are the next 3 months of events in your area (within 300 miles of K7P 3J4). In the last couple of years, thanks to Ray Arlauskas, the Chief Regional Race Instructor, we’ve increased the number of licences that we are granting based on “observation”, instead of attending a school. The schools are still very important and may provide someone new to the sport with a quick way to accumulate on-track experience. 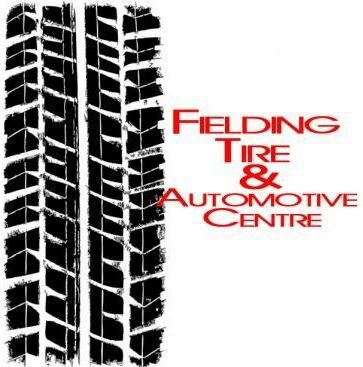 Brack Driving Concepts – http://www.casc.on.ca/road-racing/brack-driving-concepts-race-schools Brack has generously stepped up to provide the same basic race driving school that CASC-OR used to provide and at the same cost. Graduates of their three day course offered April 28-30 at Shannonville qualify for a Class B Probationary Competition licence. Pass the school and come race with us May 13-14 at the Spring Trophy Races at CTMP. BMW Club Race School – http://www.casc.on.ca/road-racing/bmw-clubs-canada-trillium-chapter-race-school-0 Offered April 29-30 at CTMP, this school is not for the complete novice, but rather for persons with some on-track experience that are ready to try wheel to wheel racing. Contact the club in advance to see if this is the right course for you. It is an excellent course with experienced instructors and graduates may apply for a Class B Probationary licence. Bridgestone Racing Academy – http://www.casc.on.ca/road-racing/bridgestone-racing-academy-racing-schools-fit-your-time-and-budget A variety of courses are offered from a 3 day full racing course that qualifies graduates for a Class B Probationary licence, to shorter courses for people that may not have decided they need a race licence (yet). Bridgestone has a fleet of formula cars to provide students with an excellent grounding in “race craft”. Novice to experienced drivers will love these courses. That brings us back to CASC-OR and our own race school. In a break with the past, for 2017, the CASC-OR Race School will be held on the Mosport Grand Prix Track at CTMP on May 12 as part of the test day before the Spring Trophy Races May 13-14. To register for the school you must be pre-approved by Ray Arlauskas. The course is designed to bring experienced drivers up to speed on racing safely. It consists of a couple of hours of classroom instruction (including a written test), followed by on track sessions to expose the students to wheel to wheel action on a race course. The course is to be taken in your race car so full driver safety equipment is required and your car must pass tech to be eligible (scrutineering will be available for the school). Previous driving experience is a must as this course is not designed to teach you how to drive the car, rather how to race the car safely. Car control is assumed. To apply for this course send an e-mail to raceinstructor@casc.on.ca with your on-track driving resume. Ray will get back to you to discuss the requirements more fully. St LAC members are invited to attend this summer’s MR2 track day at SMP, Friday, 21 July. The MR2 club has always been open to StLAC members joining in the fun. Car crew guys are running the autoslalom.